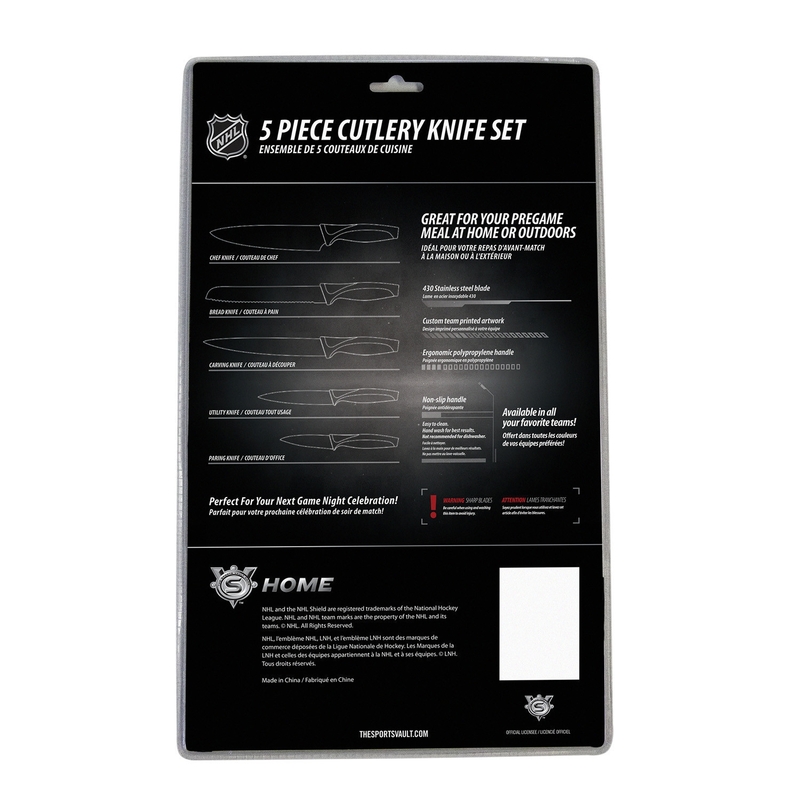 Turn every dinner into a winner with the Nhl officially-licensed Minnesota Wild Kitchen Knives Set of 5. 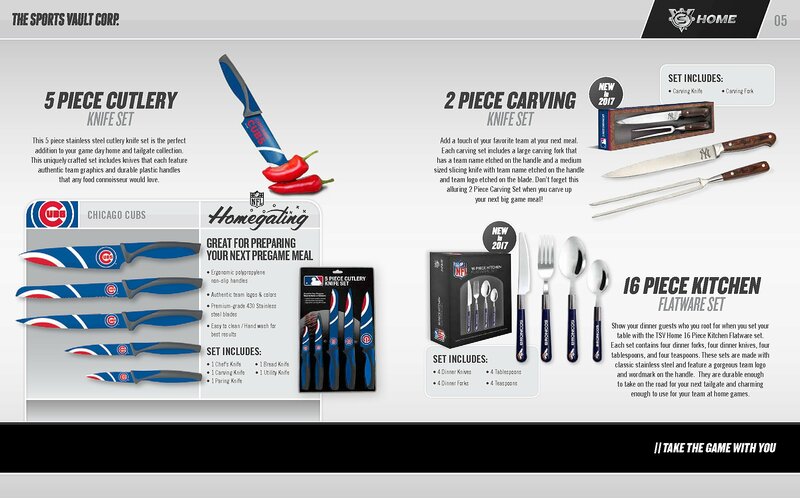 Equipped with a paring knife, carving knife, utility knife, chef's knife and bread knife, this set is sure to give your spread the winning edge at your next cookout or tailgate party. 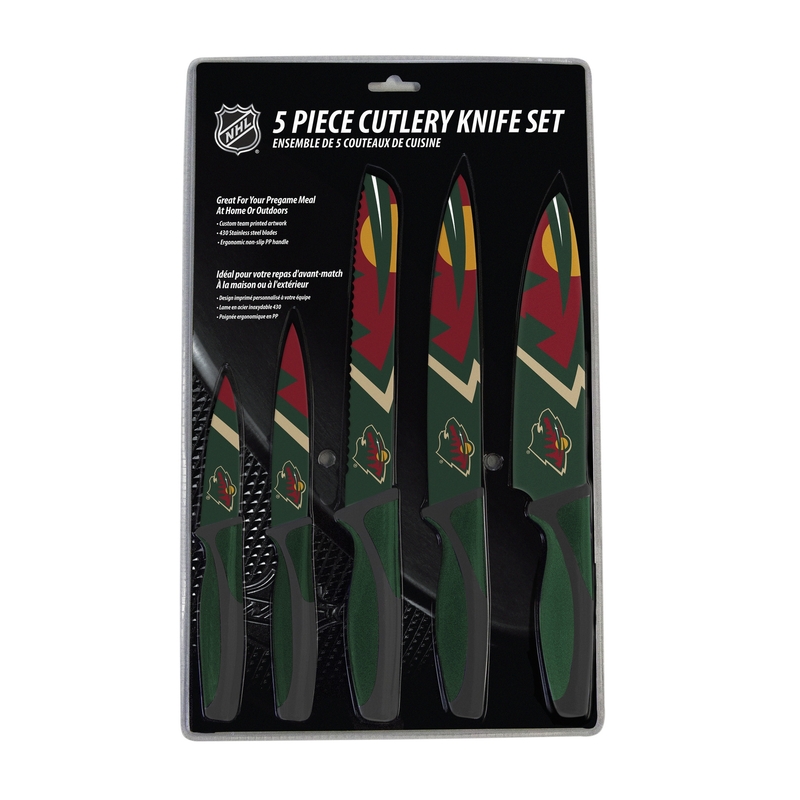 The Minnesota Wild Kitchen Knives Set of 5 feature a polypropylene, soft-grip handle with non-slip technology for optimum comfort. Each knife proudly displays the Wild's colors on the handle and vivid timberland graphics on both sides of the extra-reliable stainless steel blade. Each blade is sure-coated to protect team colors and logos for the life of the blades.Whether you order the set as a gift for a friend or keep it for your personal collection, the Minnesota Wild Kitchen Knives Set of 5 is a winning prospect.Order the Nhl officially-licensed Minnesota Wild Kitchen Knives Set of 5 Today!